We’re ready for some Lake Tahoe powder, how about you? The current weather forecast calls for a series of storms, beginning on Tuesday, which will dump 10-20 inches in the area (larger accumulation along the crest), and follow-up with a few other systems in the following weeks. For powder updates, and details click HERE. Contact our Reservation Department today! Colleen, in Ironman competition action! 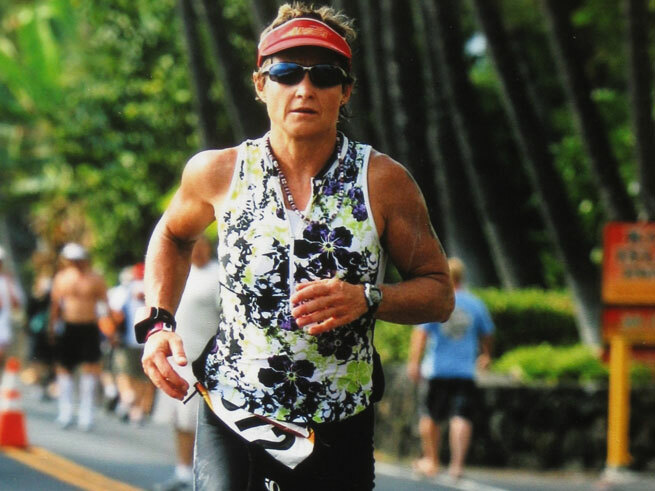 We are pleased to feature the first in a series of guest posts on Ironman Lake Tahoe altitude training from Colleen Conners-Pace, MA of Tahoe Peak Endurance, LLC. Enjoy! As of today, you 2013 Lake Tahoe Ironman athletes have 32 weeks until race day! This may seem like an eternity, but in the big scheme of Ironmans it’s not. Most structured training plans for Ironmans begin around 24-26 weeks. But, by no means is that when you should crawl off the couch. Most structured programs are periodized, with a Base Period, moving to a Build, then a Peak and Race Period. This periodized structured program is designed to progressively prepare you to race. Workouts become more race-like so by the time the race comes around you are ready! It is highly recommended you prepare yourself mentally and physically before beginning a structured periodized plan. This is what we call the Prep period. This is where you start to swim, bike, and run: basically training to train. This is the period when frequency is important. Your mind and body needs to get used to getting out almost on a daily basis and doing something (always have at least 1-2 days off a week). This is when you figure out a routine that will work with your daily life schedule. This is when you find out where it is best to fit in the swim, when you can run, and when you can ride. I recommend you start trying to get in two workouts of each discipline in a week. No, they don’t have to be long, and they don’t have to be hard. Make them fun! Just get out there and log two workouts a piece. Even if you don’t think you have time, even if you think you have only 10-20 min, go do it! You need to reinforce habits and routines! If you let it go one day, it will be easy to let it go another. This way, you will take advantage of any time you have, realize where you need to make more time, and will then find the time. Right now it is all about frequency not volume or intensity. This is when you begin to build a strong foundation with the three disciplines, when your muscles, tendons and ligaments that you will use become prepared for the increased volume and intensity in the training periods to come. Just like any strength training program, you always start out light for several weeks before applying more weight. During this Prep time remember to concentrate on running form and technique. Do cycling drills on your trainer if training indoors. For both running and riding, count your cadence (RPMS, revolutions per minute, each time pedal goes completely around) and or steps per minute (SPM, counting each time say your right foot hits the ground), and try to stay as close as possible to 90 RPMs or 90 SPMs. Focus on your swimming, do technique drills. Continue with cross training, using other forms of activities. After a few weeks of getting into the habit of training then you can start getting more structured. Don’t forget to mark that day on your calendar. We’re not talking about Sweetest Day here. This is the one, real, holiday dedicated to love. In case you haven’t heard, it’s called Saint Valentine’s Day, or the Feast of Saint Valentine, and it found its romantic beginnings in the 15th century, a time when chivalry reigned supreme. It comes as no surprise that the population of Europe increased exponentially during this time. But before you buy two plane tickets to Europe and rent a chariot, why not just honor the occasion by expressing your love to someone special, right in the heart of Lake Tahoe’s Squaw Valley. 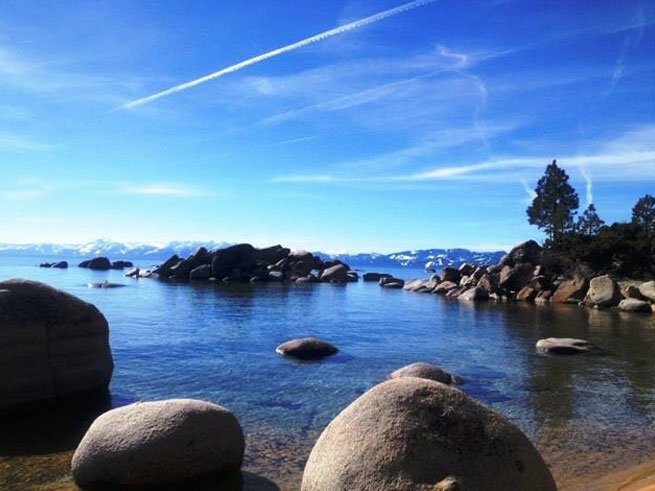 Celebrate the occasion by enjoying a glorious getaway to the mountains of Squaw Valley, overlooking the bright blue waters of Lake Tahoe. With its sunshine filled days, star-studded nights, and crisp mountain air, you will find more than enough reasons to get romantic. 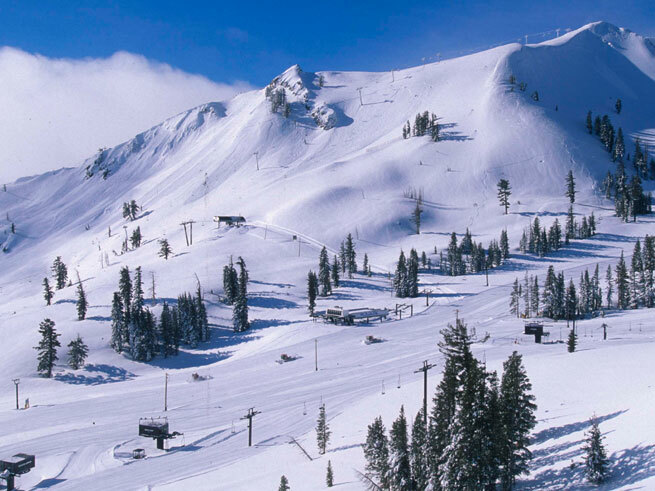 From your room at the Squaw Valley Lodge, you will be minutes away from the most famous slopes in the area. Experience some of the most breathtaking views after days spent rejuvenating in a spa massage room, or heating up in a soothing sauna. For more information on Squaw Valley, visit squaw.com.